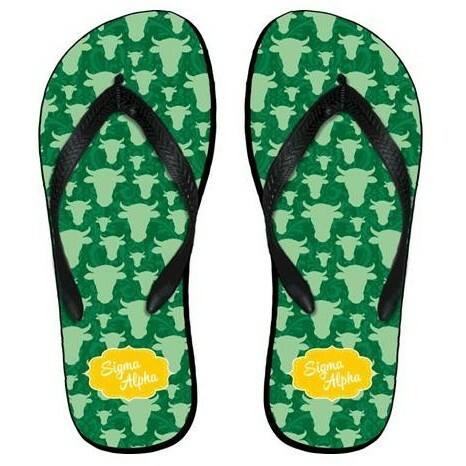 Sigma Alpha sorority Super new color Flip Flops! These great rubber casuals are crafted with top quality materials & a durable rubber tread. This sandal is likely to become one of your favorites.